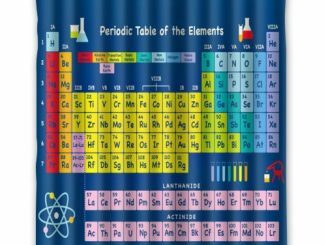 If you watch the TV Show The Big Bang Theory, you may have noticed that Sheldon and Leonard have a Periodic Table Shower Curtain hanging in their bathroom. Now you can have one too. 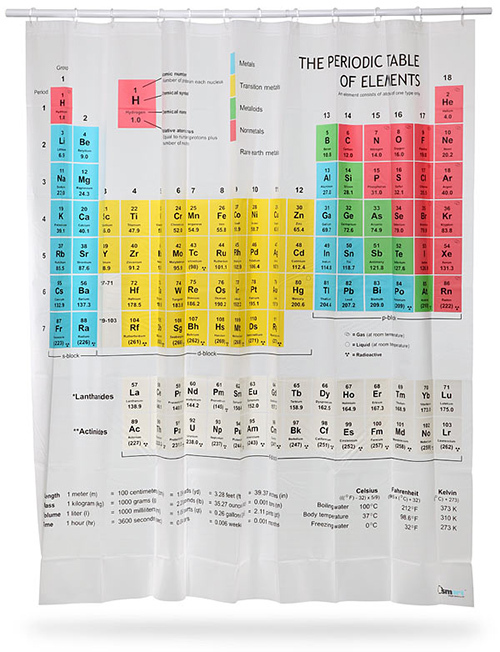 This makes a cool geek-gift idea for chemistry students, fans of The Big Bang Theory television series, and anyone that wants to shower with the periodic table of the elements. 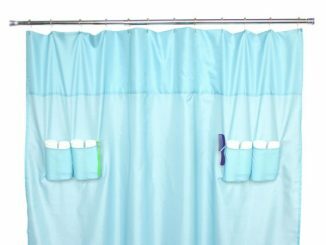 Truth be told, this info-packed bathroom accessory has completely reignited our interest in shower-based scientific studies. 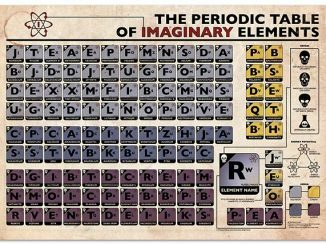 After all, where else can you observe Newton’s law of gravity, disprove the Coriolis fallacy and double check the atomic number for copper just by dropping the soap, flushing the loo and staring at the shower curtain? Precisely. 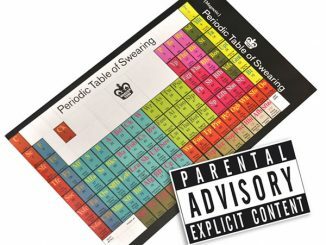 An ideal gift for boffins, students and anyone else who enjoys a bit of tongue in cheek bathroom-based fun, the Periodic Table Shower Curtain is set to cause a splash (or not, as the case may be) in homes and student digs across the globe. 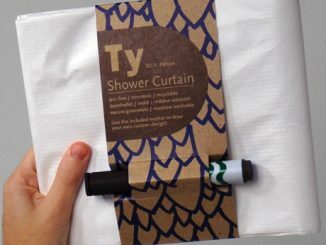 So don’t just stand around getting wetter and stupider; get ordering and wash and learn! 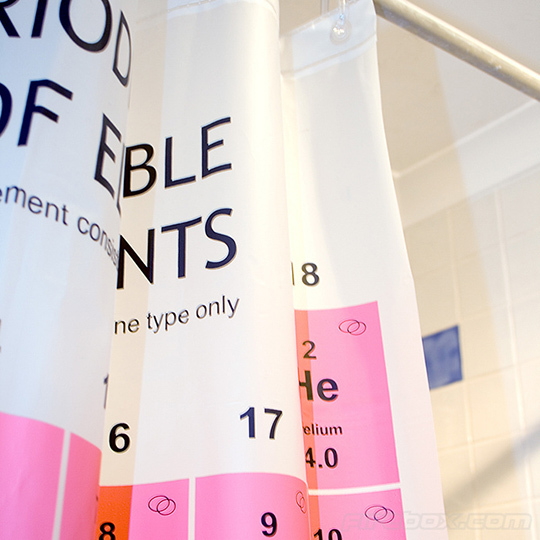 The Periodic Table Shower Curtain is available for $29.99 right now at ThinkGeek.com. 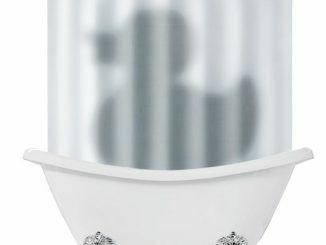 You can also pre-order it for £26.49 from Firebox.com, where it is expected to ship starting on Mary 23, 2011. 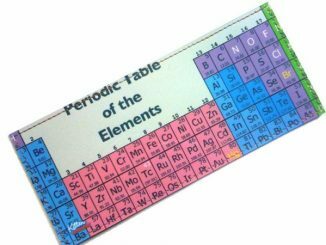 Fans of the periodic table will also want to check out the Chemistry Coasters and Periodic Table Clock. 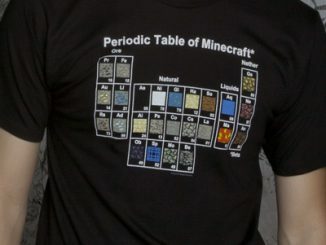 I want one, thank you!! I’ve been desperately searching for days for this! 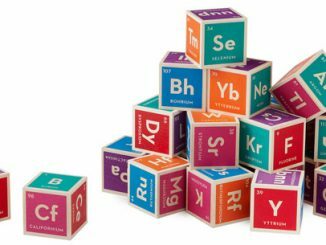 They’re sold out almost every website I see 🙁 I saw one on Organically Hatched and threw myself at it. Hopefully it’ll be okay when it gets here!! 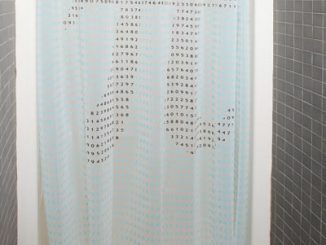 Love this shower curtain really want one of my own.